A behind-the-scenes tour of the Knesset and frank conversations with the leaders of companies including high-tech startup Given Imaging, integrated energy giant Delek Group and Recanati Winery were just a few of the unique learning opportunities for students in the Executive Masters of Business Administration program at Yeshiva University’s Sy Syms School of Business during one jam-packed week of field study in Israel this summer. 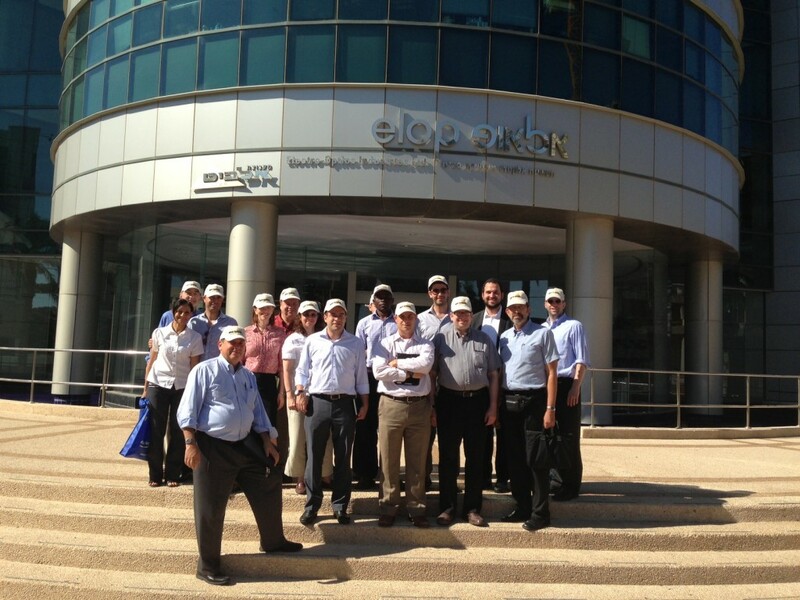 EMBA students on a site visit to Elbit Systems, which develops, manufactures and integrates advanced, high-performance defense electronic and electro-optic systems for customers throughout the world. The trip, from July 1-9, enabled students in the program’s Management of International Business course to shape their own learning experience so that it provided maximum exposure to the topics that were of most interest to them, with an overall aim of understanding the specific opportunities for global arbitrage offered in Israel. That meant arranging their own on-site visits with government and policy-setting bodies, globally-oriented Israeli companies, the Israeli presence of foreign-based multinational companies and academic institutions. The differences between the way Israelis and Americans approach startups were deeply intriguing to the EMBA students, some of whom come from a startup background. David Berk ‘82YC, chief executive officer of a startup company that designs robotic technology for hospitals, was especially taken with a place called The Library. Located in the heart of Tel Aviv’s business center and funded by the city, it offers co-working office facilities, hosts networking events and provides professional infrastructure for young technological visionaries. 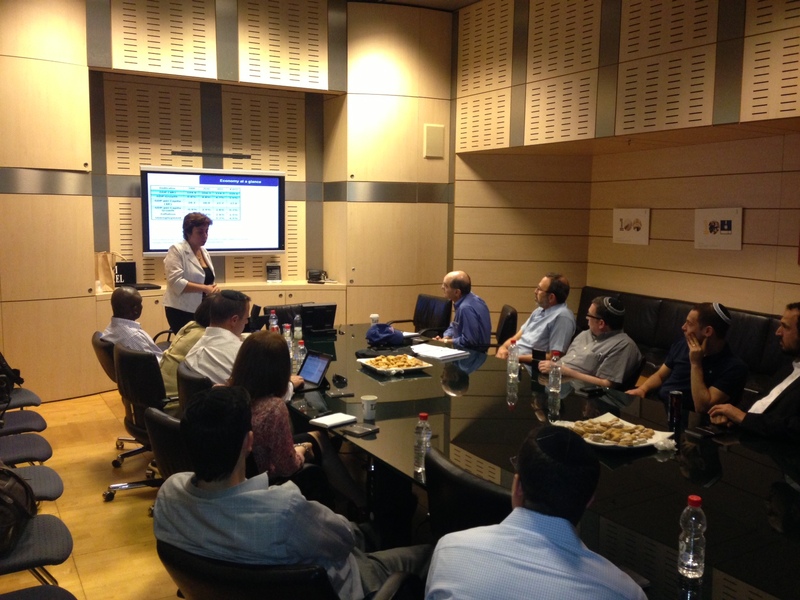 EMBA students met with the senior vice president of marketing at IBM’s Israel-based global technology unit. Featuring a unique Sunday schedule and a focus on ethics, the EMBA program seeks to prepare business professionals and managers heading for high-level positions to lead organizational change and develop strategies to help their businesses thrive in a world of global competition. In addition to coursework that is designed to integrate skills and methodology from a broad range of business areas, each student builds a personal development portfolio tailored to his or her career objectives and aspirations and studies with experienced entrepreneurs, executives, scholars, authors and researchers. Classes are held over 14 Sundays each semester and one weekday evening per month. In addition to international study in Israel this summer, the program will include a residency in an emerging market country next year. To learn more about the EMBA program, click here.